Before full-blown panic starts over the prospect of dementia, people with memory problems need to stop and analyze their own unique situations. Everyone experiences senior moments here and there, I certainly do, even the very young. Before rushing to declare the early onset of dementia symptoms its worth taking a moment to be sure. The first step is to see if there is a problem. If there is, the next step is to explore possible causes for the symptoms and undergo medical tests. At this point if it looks like dementia, people need to face the reality and make plans to live as healthy as possible to slow its onset. Individuals can do things to improve the odds of keeping their minds healthy and clear as they age. Enjoying life’s journey is one of these strategies that can prove effective. Finally, by being prepared, gradual changes will be less stressful on everyone. Now is the time to take a deep breath and look the future in its eyes. If you are facing an increase in memory problems you should know is that 20% of the time, the problem is depression, not dementia. Depression can be caused by decreases in hormone levels as we age and can be completely unrelated to quality of life. It is normal to forget sometimes; people with this progressive disease show certain symptoms of reduced cognitive ability. This covers the mental tasks such as paying attention, remembering, solving problems, making decisions and communicating. Before worrying unnecessarily, a person must experience two problems in this area at the same time. Aging people sometimes misplace things like keys, occasionally search for words and joke about memory loss while people with mild cognitive problems frequently misplaced things, begin to forget important appointments, have short term memory gaps and worry about memory problems. Dementia, on the other hand, causes people to put things in the wrong places, forget longtime acquaintances and begin to withdraw because communication is becomes frustrating and difficult. Dementia can be reversible or irreversible. Although the chance of reversing this progressive disease is somewhere between 1% and 10%, the first step is to eliminate any other cause of memory dysfunction. Progressive dementia problems include Alzheimer’s, Lewy body dementia, vascular dementia and frontotemporal dementia. Certain disorders like Huntington’s disease, HIV and dementia pugilistica and diseases like Parkinson’s increase the chance of memory interruptions. Only medical tests can prove or rule these out. Doctors love tests and some of these are good for their patients. There are a number of quick and easy mental tests designed to check alertness including drawing a clock face showing a given time. Brain scans including EEG, MRI and CT sometimes provide valuable information. Blood tests for red cell count, glucose, kidney function and vitamin B12 levels may uncover a problem while spinal taps check for brain infections. Even thyroid glands impact memory when they malfunction. If the tests are negative and the problems are getting worse, it is time to acknowledge you may be developing dementia symptoms and work to prevent further deterioration. At this point, a person starts repeating favorite stories, losing things for good, experiencing confusion when driving or in favorite stores and has trouble remembering if he or she took medications. There are some promising new drugs like Cholinesterase inhibitors, Memantine and others under development. Alternative treatment may prove even more effective. Vitamin E, Omega-3 fatty acids, Coenzyme Q10, ginkgo and huperzine A are often recommended along with other herbs and vitamins. getting vaccines; vaccinations for influenza, polio, diphtheria and tetanus appeared to reduce the onset of Alzheimer’s. Most of all, keeping a positive mental attitude and enjoying life protects the body and mind. Knowing what to expect in the dementia process can help you prepare. Because the person experiencing the problems will gradually lose more and more contact with reality, it is his or her loved ones that shoulder the responsibility of caring for and protecting the person experiencing the onset of dementia. In severe cases of progressive dementia, the sufferer will be confused, scared, and feel acutely alone. Be understanding and remember that it is nobody is at fault. There are three levels of mental deterioration. During level I, people are aware that their memory is not as good as it was. At first the cover-up these problems are laughter and jokes when they forget a friend’s name or cannot remember the word for toaster. To function normally they begin to make lists and write appointments on calendars. 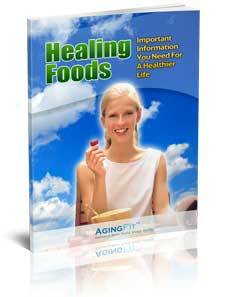 During this time loved ones just watch and commonly attribute the symptoms to aging. At level II, impacted people begin to withdraw because communication is difficult. These people forget names for common items and forget people. Every day life functions are affected including eating, hygiene and living conditions. At this point, they need help with daily chores like grocery shopping, doctor visits and financial affairs. Level III is serious; sometimes affected people cannot live independently. They may need help with bathing, dressing and even eating. By now, they do not recognize loved ones or know where they are. Changes in mental health are a part of the normal aging process. Because the prospect of getting dementia is not pleasant, people concerned about cognitive issues should consult their doctors and begin a regimen to improve mental health with nutritional adjustments and exercise right away. Although the odds of having reversible dementia are small, 20% of the time memory problems are simply a symptom of depression and treatable. Whether or not people are diagnosed with this progressive disease, they can take control of their lives and do everything possible to slow mental deterioration in the future. And if you are not the sufferer of progressive dementia, but responsible for the care of a loved one who is, please, as trying as it can be, be patient, and remember what a confused, scary experience it is for the sufferer, and any inconvenience is caused not at their wish, but rather is a symptom of the debilitating mental disease.